We provide easy access and convenient hours. As a family owned and operated business, we are committed to treating you the way we want to be treated! Here at Postal Connections, we provide you with alternatives to meet your shipping needs — large or small. 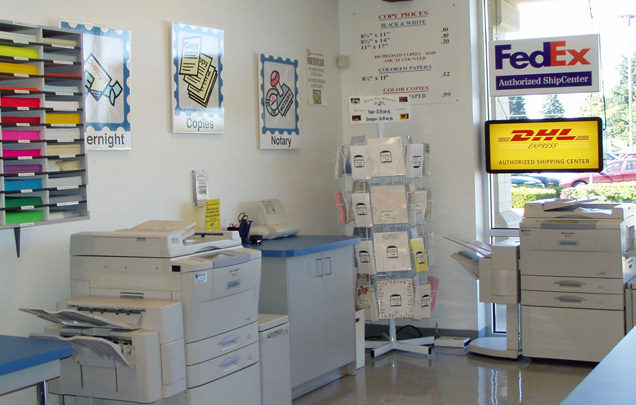 For your smaller items we offer a full range of carriers: UPS, FedEx, FedEx Ground, DHL, and the US Postal Service. Too big or heavy for the traditional carriers? No problem! We’ll find you the best option by comparing rates with dozens of freight carriers including YRC, UPS Freight, New Penn, R&L, Estes, Vitran, FedEx Freight, and many more!